BLOG » A Walk to Remember! A walk to remember for sure, my walk! It started at a water hole as we sat and watched herds come in for an evening drink. It was so quiet and beautiful and the lighting was fantastic. The last of the herds made their way off to the West as Vogue and her son Kramer share one last drink and a tender moment before walking off with band stallion Kiowa. That couldn't be it, I thought. I need to follow them and get as much time as I could with them before dark. I knew there was a road 2.5-3 miles to the West in the direction they were headed. The other ladies I was with did not want to take the walk with me, but agreed to meet up with me at the road I knew I would come to eventually. So with that, I set off through the sage and across the draw, following 3 different herds all traveling closely together with 2 bachelor stallions trailing not far behind me. I can't ever think of a time in my life that I have ever walked in such peace. The only noise was the sound of birds singing and the horses hooves walking across the dirt all around me. The smell of sage and Spring filled the air. The horses did not seem to be bothered by me following them, every once in a while looking up to see if I was still there, but then returning to their grazing. A pretty un-eventful journey, but just how I imagined it would be! Prince followed his band pretty closely, while keeping his eye on the 2 bachelor stallions behind me. Across the draw to my right, Corona (another band stallion), decided one of the bachelor stallions was getting too close to his herd so he ran across to meet one of them. Outlaw and Corona exchanged 'words' but Outlaw stood his ground, giving several harsh kicks to Corona's jaw. I could hear his hooves make contact before I could get any pictures. Corona stood defeated before running back to his herd. It was then Kiowa's turn, he too felt Outlaw was too close, setting out on a dead run towards Outlaw chasing him off before running back up the hillside towards his herd. Soon everything was back to normal and I caught Bobby, to the far left with his new herd, watching the commotion and me walking. I was so caught up in all the smells and beauty that 2 hours had quickly passed and the sun was setting. I could see the road in the distance and it was getting chilly. I knew I needed to move a little faster so I picked up the pace, but not before I was able to capture Prince up on the hillside as the sun was almost gone, watching as his mares continued to walk and graze. So pleased and thankful for my decision to make that walk with the horses! Their beauty and complicated, yet so simple lives continues to amaze me and I cherish every single second of every day that I am so fortunate to spend with them! Angela Rumbaugh - Thank you for taking the time to read my post! I do feel very lucky to get days like this and I hope you are able to see the horses soon too!! Kathi Sanderson - How lucky your were to have such a beautiful day and amazing pictures. I hope to get to see the horses sometime soon... Thank you for sharing. 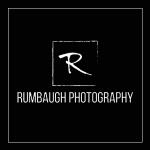 Angela Rumbaugh - Thank you Mark!! Mark Goff - Awesome photos.